Since February 23rd Mexican Army units have seized 5,164.38 kilograms of marijuana, 40 kilograms of opium gum, 30 kilograms of poppy seed, two kilograms of marijuana seeds and MP $361,299.70 (USD $28,170.86) in cash. In Veracruz and Puebla states, army units with the VI Military Region seized a number of contraband in five incidents February 23rd. The incidents took place in Tempoal, Chicontepec, Minatitlan and Martinez de la Torre municipalities in Veracruz state and San Martin Texmelucan municipality in Puebla state. Materiel seized included four rifles. three handguns, one weapons magazine, ammunition, MP $11,429.70 (USD $891.18) in cash, communications gear and three vehicles. Six unidentified individuals were also detained. A detachment of the Mexican 35th Military Zone seized drugs and weapons in Guerrero state February 22rd. The unit was on patrol near the village of Otatlan the village in San Miguel Totolapan municipality when soldiers found three partially buried containers with 40 kilograms of opium gum. Also found at the scene were 30 kilograms of poppy seed, two kilograms of marijuana seeds, two handguns, one rifle, eight weapons magazines, communications gear and one vehicle. Mexican Army units with the 29th, 26th and 19th Military Zones seized contraband in four separate incidents in Veracruz state February 24th. In Naranjos municipality, a Mexican Army patrol came under small arms fire by an undisclosed number of armed suspects. Army return fire killed one armed suspect. Seized following the encounter were three handguns, one rifle, four grenades, 46 weapons magazines, 1,300 rounds of ammunition and four vehicles. One suspect was detained at the scene. Near Minatitlan, Veracruz, an army patrol on the La Antigua-Minatitlan highway seized two tractors, seven tankers, 110,000 liters of gasoline and three metric tons of polyethylene granules. 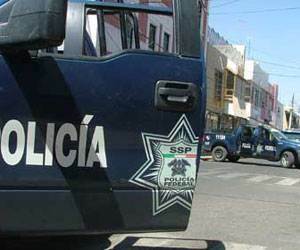 In Coatzacoalcos municipality, an army unit detained one individual in a traffic stop. Soldiers found personal quantities of marijuana. The vehicle stopped has been reported stolen. In Xalapa municipality, an army unit seized one armored vehicle, stolen armor plating and seven rounds of ammunition. Mexican Army units with the 15th Military Zone in Jalisco state seized several contraband in four separate operations. On February 23rd, acting on a citizen's complaint, in the village of San Miguel Cuyutlan municipality of Tlajomulco de Zuniga municipality, soldiers detained three unidentified individuals and seized 1,550 liters of fuel, two 1,000 liter containers, one tank with a capacity of 20,000 liters, five vehicles, MP $7,870.00 (USD $613.63) in cash, one suction pump and 10 meters of hose. While on patrol near the village of Carranza in Tototlan municipality February 23rd, a Mexican Army unit seized 7,000 liters of fuel, one tank with a capacity of 31,000 liters and one vehicle. Also on February 23rd acting on a citizen's complaint near the village of Santa Maria Transportina in Encarnacion de Diaz municipality, soldiers seized 73 packages of marijuana, 37 packages of glass methamphetimine, three handguns, 220 rounds of ammunition, five weapons magazines. Three unidentified individuals were detained at the scene. On February 24th on the Ojuelos-San Luis Potosi road in Ojuelos municipality soldiers detained one unidentified individual and seized 155 psychotropic pills, 136 rounds of ammunition, MP $342,000.00 (USD $26,666.04) in cash and one vehicle. On February 25th a detachment with the Mexican 10th Military Zone appeared at a safe house near San Juan del Rio in Durango state after receiving a citizen's complaint about a kidnapped individual. Three unidentified suspects were detained. One handgun was seized. One unidentified kidnapping victim was rescued. On February 26th Mexican Army units with the 26th and 29th Military Zone on patrol with Policia Federal, Mexican Naval Infantry personnel and Veracruz state police agents found a vehicle in Banderilla municipality with four rifles, 23 weapons magazines and 600 rounds of ammunition. On February 26th in four separate incidents in Ciudad Cuauhtemoc, Jaltipan, Cosoleacaque, Coatzacoalcos, Xalapa municiplaities in Veracruz state, army detachments with the Mexican 26th and 29th Military Zone seized 960 grams of marijuana, one rifle, two weapons magazines, 17 rounds of ammunition, seven vehicles and one motorcycle. On February 26th units with the Mexican 8th Military Zone seized drugs found in the ejido of Los Cavazos in Ciudad Reynosa municipality in Tamaulipas state. In an abandoned building soldiers found 365 packages of marijuana weighing a total of 1,753.4 kilograms. In Veracruz state an army unit with the Mexican 29th Military Zone came under small arms fire while on patrol in Melgar colony in Cosoleacaque municipality February 28th. Military personnel returned fire and ended the firefight. Two unidentified individuals were detained at the scene with three firearms, three hand grenades, 17 weapons magazines, 405 rounds of ammunition and two vehicles. On February 29th a Mexican Army unit with the 9th Military Zone while on patrol in Culican municipality in Sinaloa state located 148 packages of marijuana weighing 1,500 kilograms hidden in nearby brush. An army unit with the 8th Military Zone seized more than 1.5 metric tons of marijuana February 29th in Tamaulipas state. The unit was on patrol at a remote rural location in Camargo municipality when it discovered a pit covered with plywood with 321 packages of marijuana weighing 1,910 kilograms. The Texas Highway Patrol, which works alongside the U.S. Border Patrol to stop illegal drug smuggling from Mexico, is getting new means to chase down the black hats: six 34-foot gunboats, outfitted with automatic weapons and bulletproof shielding, according to a report by KHOU television in Houston. The vessels, which are similar to U.S. Navy gunboats used in rivers during the Vietnam War and are capable of operating in as little as 2 feet of water, are scheduled to launch in March. 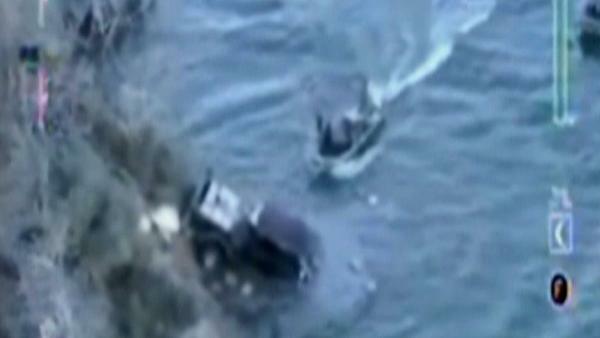 Officials quoted in the story said that drug cartels increasingly were using the river to smuggle drugs into the United States, or fleeing safely back to Mexico if detected. 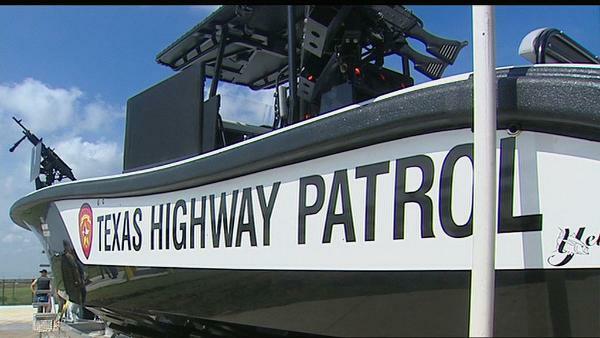 "It sends a message," Jose Rodriguez, Texas DPS Regional Commander told the station. "Don't mess with Texas." The boats -- costing about $3.5 million -- were funded with a combination of Texas legislative money and federal grants, according to DPS spokesman Tom Vinger. They will operate on the Rio Grande and lakes that feed it as well as on the Intercoastal Waterway, a narrow channel between the coast of Texas and South Padre Island. He said they were in part a response to the "splashdown" strategy that drug traffickers have used in recent years to avoid arrest and confiscation of the drugs. When pursued, some smugglers drive into the river where they are met by boats that take the people and cargo back to the Mexico side of the border river. "Just like any patrol unit, the (gunboat) patrols give higher visibility to deter and, if necessary, to interdict," said Vinger. The nonprofit Texas Border Coalition said resources to stop drug smuggling and other illicit activities -- including smuggling of illegal immigrants -- would be more effectively utilized by investing in legal border crossings. The border checkpoints are "woefully lacking" in technology and personnel, said Julie Hillrichs, spokeswoman for the organization, which studies a range of issues that affect border communities. The result is not only continued smuggling, but hours-long wait times for legitimate commerce, she said. In a recent report the coalition said an estimated 90 percent of the cocaine, marijuana, heroin, methamphetamine and MDMA smuggled across the border comes through checkpoints alongside legal commerce. "We're not suggesting that these vessels would not be needed," said Hillrichs. "We’re just saying that we have identified what we believe to be a weaker link. Drug cartels don’t send drugs through the river; they smuggle it through the border crossings," she said. The federal government has spent more than $90 billion over the last decade to secure the U.S.-Mexico border — a significant portion of which has funded use of the U.S. military, including the National Guard, to bolster U.S. Border Patrol and Customs and Border Protection forces, the coalition said. Documentary in Spanish covering that battle for Monterrey between Los Zetas and the Gulf Cartel (CDG). It has been a couple of years now that death and violence has converted Monterrey in to a city that suffers in pain from the blood spilled on its streets. The numbers are hard to comprehend – thousands of people killed, tons of drugs seized and billions of dollars exchanging hands. And Iowa is right in the middle of the Mexican drug cartels’ distribution network. It’s the middle of the night in Pinal County, Arizona. Just as he does on every mission, Lt. Matthew Thomas, with the Pinal County Sheriff’s Office, makes a mental checklist. His team plans to raid two locations tonight. They’re stash houses, used to store drugs awaiting distribution through a nationwide network. “Sheriff’s Office, search warrant,” one agent yells as he bangs on the window. Lt. Thomas and his team take three people into custody and uncover dozens of bundles of drugs in a pickup parked outside. There are more drugs inside the stash house, along with a shrine of saints. Some are legitimate saints, like the Virgin Mary. Others, like Saint Jesus Malverde are called “narco saints.” Malverde is considered the patron saint of the illegal drug trade. Traffickers pray to him for the safe delivery of their loads. Lt. Thomas carries a picture of Malverde in his patrol car. It’s a souvenir from his days undercover, when he had to convince dealers he was one of their own. He’s developed a warrior mentality. You understand why, when he explains how the drug cartel has infiltrated the area. There are bad guys in the mountains and on the desert floor. The person driving a tractor in a field by the road may only be posing as a ranch hand. As we approach a known “drop site,” it become clear, the cartels are watching us as much as we are watching them. Lt. Thomas instructs us to stay by the car as he checks out the location. He tells us to radio dispatch with our location, should something go wrong. After giving us the all clear, Lt. Thomas shows us evidence smugglers are using this old ranch house to transfer drugs. The smugglers are called mules. They walk day and night through the desert, carrying as much as 50 pounds of pot, heroin, meth or cocaine in home-made burlap back-packs. When they reach the drop site, the mules drop everything – their drugs, their outer layers of clothing, their water bottles – and wait. They wait for word from the next person in the drug cartel chain of command. Another tell-tale sign that this is a drop site - booties made out of carpet. The smugglers fasten them to their shoes to disguise their footprints. Another vehicle will pick up the people. Some mules, referred to as “quitters,” rely on law enforcement for a ride home. They’ll walk to the nearest interstate or highway and simply surrender, knowing police will transport them back to Mexico. For some quitters, it’s a short walk. Lt. Thomas takes us to a drop site directly be an Interstate 8 overpass. He says as lookouts watch for the law, the smugglers load the drugs into a transport vehicle pulled on the side of one of the busiest roads in Arizona. The fingers of the Mexican drug cartels reach across the country. Before they even cross the border, the drugs are brokered out to dealers, located in cities like Phoenix, San Diego, Denver and Dallas. They then travel north and northeast along the nation’s interstate system. I-80 and I-35 are two major pipelines, leading directly to Iowa. 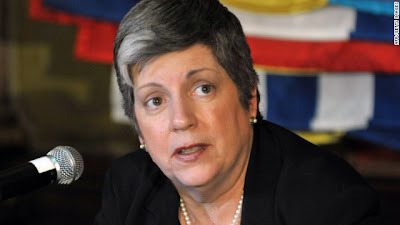 U.S. Secretary of Homeland Security Janet Napolitano said Monday that the war on drugs in Mexico "is not a failure." At a press conference in Mexico City after meeting Mexican Interior Minister Alejandro Poire, Napolitano called the drug policies of both Mexico and the United States "a continuing effort to keep our peoples from becoming addicted to dangerous drugs." Napolitano also said that among the things discussed at the meeting with Poire was how to have a more regional approach to a number of security issues threatening the United States, Mexico and Central America. Asked why, in spite of efforts by both Mexico and the United States, the leader Mexico's most powerful criminal organization -- the Sinaloa drug cartel -- remains at large, Napolitano implied it's only a matter of time before Joaquin "El Chapo" Guzman falls. "It took us 10 years to find Osama bin Laden and we found him," Napolitano said. "And you know what happened there. I'm not suggesting the same thing would happen with Guzman but I am suggesting that we are persistent when it comes to wrongdoers and those who do harm in both of our countries." Guzman escaped from a Mexican prison in 2001, and both Mexican and U.S. authorities are offering multimillion-dollar rewards for information leading to his capture. Mexican reporters also asked whether the U.S. Homeland Security secretary still considers Mexico a safe destination. Twenty-two Carnival Cruise Lines passengers were robbed of valuables and their passports Saturday while they were traveling by bus in the middle of a shore excursion near the beach resort of Puerto Vallarta. Napolitano didn't specifically address that incident, but suggested she doesn't believe there is a generalized security problem. "I think Americans come and go freely to Mexico all the time and I expect that to continue. It's a wonderful country. There are many, many places to go and to see. And obviously we also do a tremendous amount of commerce," Napolitano said. The meeting with Poire was Napolitano's first stop of a five-day regional tour that will also take her to Guatemala, El Salvador, Costa Rica and Panama. Napoliticano was specifically asked whether the U.S. government is as concerned about the power of criminal organizations in Latin America as it is about terrorism. She called both terrorism and drug trafficking a global scourge, but pointed out there are important distinctions between the two. "(Drug trafficking) has to be handled in a somewhat different way. It's a different type of crime and it's a different type of plague, but that's also why it is so important that we act not only bi-nationally, but in a regional way, to go after the supply of illegal narcotics," Napolitano said. Op-Ed: Is ‘El Chapo’ the October surprise in Calderon's Mexico election? Facing heavy criticism over his handling of the country’s drug war, Mexico President Felipe Calderon’s popularity has plummeted, is widely seen as losing the presidential election in July, and now needs a major event to boost his party’s popularity. While mainstream media in the U.S. focuses on sensational aspects of the drug war in Mexico, a closer look at behind-the-scenes political machinations suggests forthcoming embarrassments for both countries. Seemingly, many Mexicans favor action against the country’s powerful criminal syndicate, yet Calderon’s National Action Party (PAN) faces a difficult task in holding control of the government, and the Institutional Revolutionary Party (PRI) - the party dominating Mexico politics during most of the 20th century - is now considered the feasible alternative. As drug-related violence in Mexico slowly seeps across the U.S. border, despite the administration’s best attempts at downplaying it, so to does drug cartel influence currently dominating the Latin American country’s political structure. In the first three quarters of 2011, drug violence was blamed for almost 13,000 deaths in Mexico, and if last quarter averages continued trending of the first three, the country was on track to surpass 17,000 killings. Currently, 2010 was the deadliest year on record, with 15,273 drug-related murders. Since December 2006, when Calderon came into power - succeeding Vicente Fox, also of the PAN - through September 2011, there have been at least 47,515 people murdered due to drug-related violence. These have not been your run-of-the-mill killings, by any stretch of the imagination. The horrors include, but have not been limited to, beheadings, hangings from busy overpasses, masses of bodies dumped on busy city streets, charred bodies in burned- out vehicles, and bold attacks in broad daylight, each event surpassing the previous in gruesomeness. Among the dead are women, men, politicians and law enforcement. In the Spanish newspaper El Pais, former foreign minister Jorge Casteneda wrote, “Mexico has paid an enormous price: almost 50,000 dead, almost $50 billion in additional security costs, ever more numerous human rights violations, (and) a great discrediting of the country to the world,” CNN reports. Among Mexico’s cartels, referred to as transnational criminal organizations (TCOs) by the DEA, the two most powerful are the Sinaloa and Los Zetas, with two major groupings having formed around them. A common Mexican TCO expression, “plato o plomo” best describes the separate workings of these two groups, according to Stratfor. Simply put, the phrase translates into “silver or lead,” meaning one’s cooperation with the cartels is forced by bribe or bullet. The Sinaloa cartel is believed to have been formed by Ismael “El Mayo” Zambada Garcia and Joaquin “El Chapo” Guzman Loera. Guzman, now leader of the Sinaloa, is the country’s most powerful drug lord. Among the possibilities for a last-minute political miracle for Calderon and PAN (an “October surprise” in U.S. political-speak) is the capture of Guzman. In addition to being the most powerful drug lord, Guzman is reportedly also the richest of the cartel leaders. Most of the reasoning behind such a ploy would be Calderon and PAN’s popularity regaining positive ground. In an apparent lead-in to such a move, the Mexican government recently announced a corruption investigation involving three former governors of the country. The probe includes Tomás Yarrington Ruvalcaba, former governor of Tamaulipas from 1999 to 2005, his successor, Eugenio Hernández, and Manuel Cavazos Lerma. If mainstream media were truly interested in sensationalism, there would be ample pursuit down this particular avenue. While governor of Tamaulipas, the northern state bordering south Texas, Yarrington - who forged a working relationship with Texas politicians - was allegedly under the influence of Los Zetas, a U.S. Drug Enforcement Administration affidavit notes. A raid by federal agents at the home of Antonio Peña Arguelles earlier this month in San Antonio’ north side came as the result of an informant describing “Antonio Peña Arguelles as a conduit between Mexican politicians, in particular Tomas Yarrington, and Zeta (drug cartel) members Miguel Treviño Morales and Heriberto Lazcano,” according to an agent, the San Antonio Express News reports. It is widely believed Lazcano heads Los Zetas while Treviño Morales, with five murder warrants against him in the U.S., is the group’s No. 2 man. Yarrington’s ties with the Texas political machine should come as no surprise, given the fact Tamaulipas borders Texas, separated by just a thin band known as the Rio Grande River. Yarrington was at Texas Governor Rick Perry’s swearing into office for his first full term in 2003. Prior to that, the Tamaulipas governor was a recipient of a Texas Senate resolution honoring him. Sen. Eddie Lucio Jr., D-Brownsville, authored the Senate resolution honoring Yarrington, and the two began working together when Yarrington was mayor of Matamoros - from 1993 to 1995 - just across the Rio Grande from Brownsville, Lucio’s hometown. Ben Wright, Lucio’s press secretary, said, “It would be incumbent upon him to maintain a professional relationship with ... the political leadership and business leadership of local towns,” MySA reports. Mexico’s drug cartels operate on bribery, a basic principle no different than that conducted by those within its government, starting with the local cop in the smallest village, and is well-known to anyone who has spent time traveling through or lives in the country. The Sinaloa cartel has, Stratfor notes, “had police and military officers, politicians, journalists and judges on their payroll for years and even decades.” As such, it has created a complex web of assets. Once on the payroll, the inevitable blackmail begins, should one decide to stop cooperating. Also on its payroll are those involved with intelligence gathering, conducted on the street level by lookouts known as “halcones,” or “falcons.” These halcones have designated areas of responsibility and their job entails providing early warnings of rival cartel or law enforcement activities to their drug lords. In addition to these low-level halcones, upper-level halcones include high-ranking officials who warn cartel leaders of planned government operations against them. These early warnings help cartels protect their leadership as well as shipments. Entanglement with the cartels thus becomes a lifetime commitment, unless one would rather face the possibility of arrest or even political or financial ruin if caught trying to break free of the web. It should be worth considering the flip-side to the plato o plomo concept. Not only are many of the politicians and other elected officials on the take, but their ability to keep the TCO’s divided into several groups can actually help determine bribe rates. It goes without saying this is no small-time commitment, as it involves both the Mexican and U.S. governments. Noe Ramirez Mandujano, Mexico’s former drug czar, was arrested and charged in 2008 for accepting $450,000 per month from Zambada and, at the time, the Sinaloa-alligned Beltran Leyva brothers. As both governments look for fall guys in the war on drugs, insurance comes into play. As in CYA. Were a leading cartel leader to be concerned over his being killed, rather than being captured, there would likely be produced a document incriminating the powerful who were a part of the cartel payroll. And while Mexico’s government would likely politicize any arrest of a cartel leader, all parties attempting to use such a move to their advantage, even as they try downplaying any connection to the cartels, the trump card for the cartels is called political ruin. While we’re focused on Mexico’s drug on wars, anyone with even a remote interest in politics knows all too well how powerful a drug that is. Calderon is doing his delicate dance with the cartels and at the same time attempting to avoid an overdose on political power. One could safely surmise this applies to the north side of the fence as well. U.S. Army National Guard helicopters stationed at the Valley International Airport in Harlingen will be used for surveillance mission along the border. 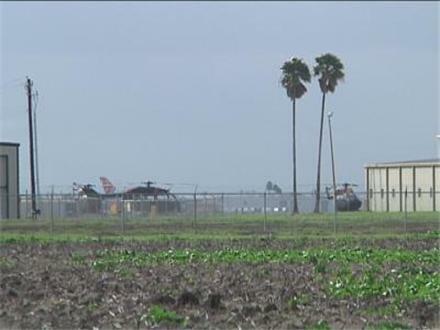 Action 4 News broke the news that helicopters are being housed at Harlingen's Gulf Aviation on Monday. U.S. Customs and Border Protection (CBP) spokesman Bill Brooks spoke to Action 4 News about the helicopters in a telephone interview from Washington DC. Brooks said the helicopters are in the Rio Grande Valley as part of a surveillance mission. Just a few months back, President Barack Obama said he would be changing his border security strategy along the U.S./Mexico border. President Obama is shifting away from a "boots on the ground" approach to an "eyes in the sky" approach. Brooks said some 500 National Guardsmen will be assisting CBP in keeping an eye on the entire southwest border using helicopters. "They've got a job to do," Brooks said. "We'll see how they do." The surveillance helicopers stationed in Harlingen do not have exterior gun turrets or rocket launchers. A breakdown of how many helicopters and guardsman assigned to each area of the border was not immediately available. But sources told Action 4 News that next nearest border city to get the National Guard helicoptes is Laredo. Several Mexican military helicopters have been documented in the Rio Grande Valley. Brooks said the National Guardsmen and CBP are in regular contact with their Mexican counterparts. Mexican Policia Federal (PF) troops killed 11 armed suspects and seized a number of contraband including weapons and vehicles in a Monday afternoon operation, according to Mexican news accounts. The confrontation took place in Fresnillo municipality in a southwestern area near the border with Valparaiso municipality in the village of El Salto at around 1330 hrs. PF agents had conducted a rescue operation of an unidentified individual at a safe house against a band a kidnappers by blocking roads. Armed suspects reacted by themselves blocking roads at seven locations including roads leading to Jerez municipality to the southwest and Valparaiso, also to the southwest. Roads with blocks includes Bulevar Varela Rico. Seven narcobloqueos were removed with the assistance of Zacatecas state and local municipal police agents, but seven armed suspects still managed to escape the PF cordon. One unidentified armed suspect was detained. In the aftermath, 12 abandoned vehicles were found as well as 12 rifles. Reports have surfaced that some of the dead were prison escapees from the Apodaca CERESO prison massacre that took place over the weekend in Apodaca, Nuevo Leon ten days ago. None of the dead criminal suspects have yet been identified. Five PF agents were wounded in the encounters, two requiring hospitalization. The death toll for the armed suspects could rise by four, though Zacatecas Procurador General del Estado Arturo Nahle Garcia denied more had died in the encounters. Policia Federal units have been operating in increasing concentrations in Zacatecas state, either by augmenting army patrols or by providing a placeholder as army units have been dispatched to other locations in Mexico. Three Mexican Army battalions are known to have bases in the state. PF units were involved in a shootout in Fresnillo ten days when agents intercepted a two-vehicle convoy of armed suspects killing six and seizing 37 weapons, tactical gear and military C4 detonation charges. Another eight unidentified suspects were detained, all Guatemalan nationals. I'm sure they are rendered completely helpless or at least greatly hindered by this inability to properly play dress-up. During a routine patrol through the village El Mirador, a town of Apatzingan, Michoacan, the Mexican Army seized a total of 120 helmets, similar to those used centuries ago in the era of the Crusades, and were secured during a military operation in Michoacan. The helmets were allegedly used in ceremonies and rites of passage for members of the criminal group known as the Knights Templar. Reports of the 43 Military Zone, based in Michoacán, show that the seizure was made in a camp of this criminal organization located in the Municipality of Apatzingan. Onsite in the camp located in the town of El Mirador, where they apparently carried out rituals for new members of the criminal group. In total there were 120 insured helmets, all made of plastic material that simulate those used by the members of the military order founded in the year 1119, serving the church and was known as the Knights Templar and Knights Templar . It was this army by the name "The Knights Templar," which inspired part of criminal group to break away from the cartel La Familia Michoacan in March 2011. Military elements have increased their presence operating in several towns of Apatzingan. The demarcation is considered high crime and it's where several altars have been in honor of the Knights Templar. Mexican Army troops participating in the Laguna Segura security operation in Coahuila and Durango are being rotated out and replaced with fresh troops, according to Mexican news accounts. Identification of the new units have not been released so far. 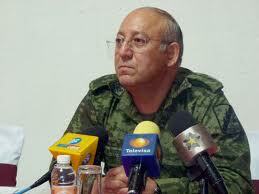 The Mexican Army has been rotating fresh troops into Tamaulipas as well as Coahuila consistently since last summer. Since the start of 2012, it was reported that 8,000 army troops were sent to reinforce security efforts in Tamaulipas. The Laguna Segura operation has already seen some changes since the start of 2012. For example, the former commander of the IX Miliary region, General Marco Antonio Gonzalez Barreda, was appointed to an army staff position as Inspector General and Comptroller of the Army and Air Force. He was replaced by General de Division Roberto de la Vega Diaz, a former 35th Military Zone commander in northern Guerrero, who had also been previously posted as military attache in Bolivia. General de Division de la Vega Diaz reportedly said in a Monday news conference that other federal troops have been redeployed to other regions in the republic, a probable direct reference to earlier reports in El Diario de Coahuila news daily that said a Policia Federal unit had been ordered out of La Laguna a week ago owing to unspecified problems with the deployment in the area. News reports over the weekend now say Policia Federal troops are still in the area, although it may not be the same unit which left a week ago. The general also made the startling admission that he accepted the possibility of corruption of the troops, and regretted corruption is widespread amongst several security organizations. The general's candid remarks come only a day after a report by the leftist news weekly Proceso, which described in some detail corruption at the command levels in Mexican military units particularly in La Laguna. 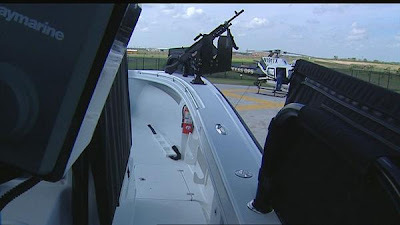 The Laguna Segura operation, which is one of four major security efforts in Mexico, began in earnest in late October, 2011 as an attempt to coordinated among the three levels of government security operations. The La Laguna area is astride a major east west road and the borders of Coahuila and Durango states. Organized crime gangs use the inter border region to escape capture due to jurisdictional issues. The Laguna Segura is an attempt to coordinate incidents such as vehicle pursuits to make policing more effective in the region. The three other major security operations include those in Guerrero, Veracruz and in Tamauliaps states. Ten more dead bodies have been discovered in Durango municipality, Durango, according to Mexican news accounts. 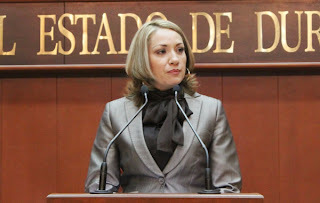 According to Durango Fiscalia General del Estado, Sonia Yadira Fragoso de la Garza, further exhumations were in the village of Cristobal Colon in Durango municipality after ten were discovered last December, 2011. The total discovered in that area is 50. The Durango mass graves most of which are concentrated in Durango municipality, are the worst mass graves in Mexico. Discovery of the bodies began in April of 2011, and have since risen to 290 until last December, 2011. The new discoveries could raises that toll to 300 dead. Proceso has reports the total exhumation is 322, going by official counts. Yadira Fragoso is quoted saying no other graves are expected to be found. A similar mass grave find was made in Tamaulipas last summer, where authorities found graves with 193 individuals who were killed during a terror campaign by a Los Zetas armed group operating out of San Fernando municipality in Tamaulipas. Between July, 2010 and when those graves were found in April, 2011, the San Fernando Los Zetas group hijacked buses and abused and killed passengers, reportedly as part of a recruiting drive. The original discovery in Durango was made from an apparent interrogation of a detainee, who led authorities to the first of four grave sites in Durango municipality. Graves have been found as far away as the La Laguna region in far eastern Durango near the border with Coahuila state. Many of the dead were not shot, but had been killed by various means. Some of the dead were killed as long ago as 2005, well before the late 2006 start of Mexican president Felipe Calderon's war on the drug cartels. According to previous news reports of the 300 dead found to date only, 37 have been claimed by relatives. 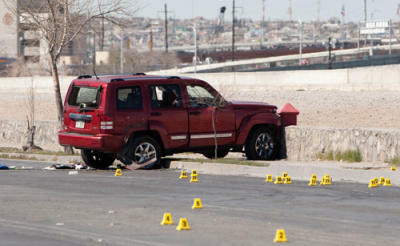 Juarez police found, chased and exchanged gunfire with car-theft suspects Tuesday morning. The suspects crashed at the intersection of Malecn Avenue and Xochimilco Street, less than half a mile from the border. The gunfire prompted the lockdown of three El Paso schools. Mayor Héctor "Teto" Murguía disagreed with El Paso authorities and said on Wednesday he doesn't believe a bullet that struck a woman in Downtown El Paso on Tuesday came from Juárez. Instead, Murguía hinted authorities should investigate whether the bullet was fired from the U.S. or an American weapon smuggled into Mexico. "I think it is unlikely that the bullet was from Ciudad Juárez. They would be better served looking at 'Fast and Furious' operations," Murguía said referring to the name of a botched U.S. Bureau of Alcohol, Tobacco, Firearms and Explosives operation that allowed guns to be smuggled into Mexico. On Tuesday about 11 a.m., Maria Romero, 48, who was shopping in the 200 block of East Overland Avenue, was shot in the leg by a stray bullet. Romero was treated for a minor wound at Universal Medical Center and released the same day. The incident could be the first time a person in El Paso has been wounded by a bullet fired in Juárez since drug-related violence began in 2008. El Paso Police Chief Greg Allen said at a news conference Tuesday that he believed the bullet was fired from Juárez during a confrontation between police officers and two car thieves that occurred around the same time near the Rio Grande. The bullet that hit Romero was a .223-caliber, a type of ammunition used by Juárez police assault rifles, and didn't match the caliber of firearms reportedly seized from the carjacking suspects. According to the Chihuahua state's prosecutor's office, authorities retrieved 83 .223-caliber bullet casings and nine 9mm casings. El Paso police estimated the shot was fired from about 3,000 feet (or 0.56 miles) from where the woman was hit. They said it is not an unusual distance for a rifle round. Juarez Mayor Hector Murgola believes the bullet that hit a woman in El Paso Tuesday came from the United States. Murguía questioned whether a bullet fired in Juárez could have traveled that far with buildings and cars. Murguía cited city technicians and said the bullet couldn't have gone farther than 750 meters, or 0.47 miles. "From where the bullet came, and where it landed, the distance is not close," he said. "I'd say it can easily go over a mile," said Max J. Scott, owner of a crime scene reconstruction firm, Forensic Trio, in Lafayette, Colo.
Ballistics experts with RNA Consulting in Los Altos Hills, Calif., said that .223-caliber bullets would not be recommended to shoot a target 3,000 feet away, but added they could travel the distance without much problem. El Paso Mayor John Cook acknowledged there was no way to conclusively determine whether the bullet was fired from Juárez without a ballistics test on the bullet that injured Romero and the weapons fired during the confrontation. But Cook said that after looking at the evidence, it appeared "very possible" the bullet came from the other side of the border. "Intuitively, you'd think it's more than coincidental that at the same exact moment there's a gunbattle in Juárez, a bullet hits someone a half a mile away, considering that assault rifles will fire bullets over a mile," he said. "It would seem reasonable there's a possibility that that's where it came from, especially since there were no other reports of gunfire." Murguía said he would like some proof and a detailed report of what happened on Tuesday and how a stray bullet landed in El Paso before he or anyone else "blames" the Juárez municipal police officers for the incident. And even if the bullet came from Juárez, the incident should be seen as a rare occurrence, he said. After hearing reports of Murguía's comments, Cook responded by offering to conduct the needed tests in El Paso. "There's one way we could find out for sure" what happened, Cook said. "We're sending the bullet to ballistic tests, and if he wants to send us all the weapons involved, we can check them. If there were assault rifles in that shooting in Juárez that fire .223s, we can compare bullets that we fire in the fire range. But I doubt that they would allow us to do that." Wednesday's incident once again raised concerns about cross-border violence -- concerns that both Cook and Murguía have repeatedly tried to abate in their cities. Cook has defended El Paso's image as the country's safest city by saying there is no evidence that bloodshed in Juárez has spilled over. Murguía, along with Chihuahua Gov. César Duarte and Mexican President Felipe Calderón, often point to declining crime statistics from last year to argue that public safety has improved. The two mayors said Wednesday they hadn't had a chance to discuss Tuesday's incident. Cook said each has left phone messages for the other, and Murguía said he would contact Cook as soon as possible. 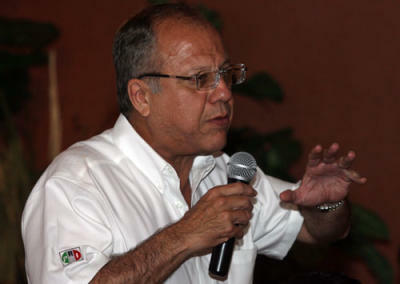 Murguía hinted he was open to a cross-border investigation, but he did not confirm one would take place. "We're going to do everything possible to collaborate with each other and ensure that Ciudad Juárez and El Paso as a region come out as least-hurt as possible (from this incident) and things don't get tense," he said. 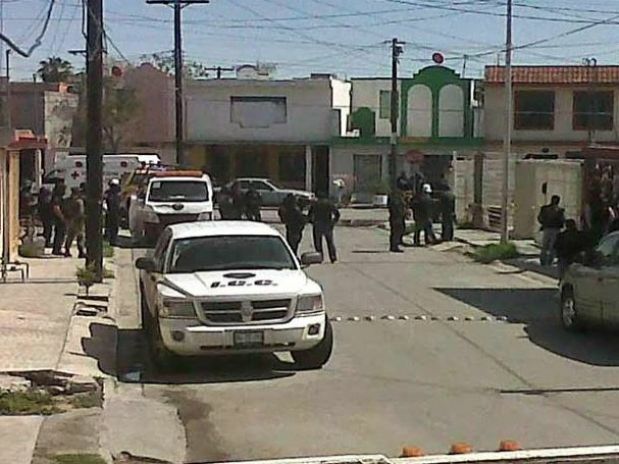 Gunmen armed with assault rifles killed five men in Apodaca, a city in the northern Mexican state of Nuevo Leon, state officials said. The gunmen arrived at a house in Apodaca, located in the Monterrey metropolitan area, around 11:30 a.m. Sunday, a Nuevo Leon state Security Council spokesman said. Several gunmen entered the house firing bursts from AK-47 assault rifles and 9 mm pistols. The gunmen killed five young men, one of whom may have been a minor, the state Security Council spokesman said. Attorney General’s Office investigators went to the scene to gather evidence and remove the bodies, which were in the dining room and bedrooms of the house. The killings may be linked to a turf war between drug dealers, who neighbors said used the house to sell drugs, state police said. 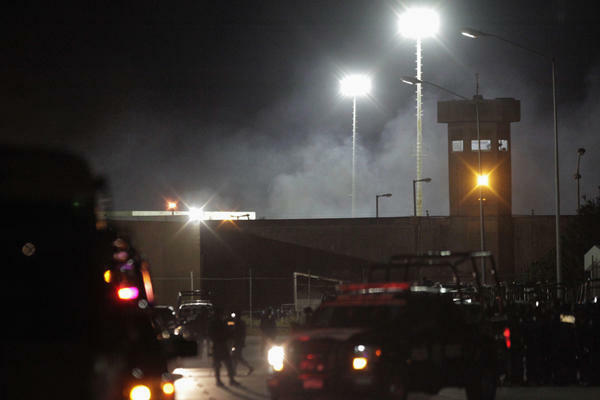 The prison in Apodaca was the scene on Feb. 19 of the massacre of 44 inmates who belonged to the Gulf drug cartel and the escape of 29 prisoners from the rival Los Zetas gang. The Monterrey metro area, where some 4.5 million people live, has been battered by a wave of drug-related violence that has left more than 2,000 people dead in the past year. Los Zetas has been battling the Gulf cartel for control of the Monterrey metropolitan area and smuggling routes into the United States. 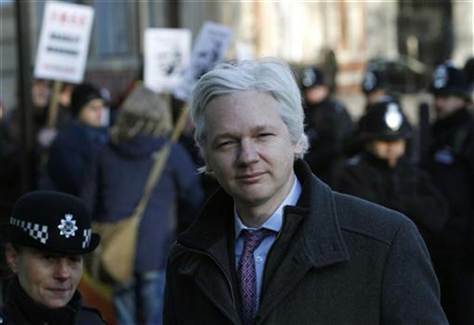 The anti-secrecy group WikiLeaks said it would begin publishing more than five million emails Monday from a US-based global security think tank, apparently obtained by hackers. "What is of grave concern is that the targets of this scrutiny are, among others, activist organizations fighting for a just cause." Stratfor's chief executive officer and founder, George Friedman warned on January 11 that emails had been stolen but said the thieves would be hard pressed to find anything significant. "God knows what a hundred employees writing endless emails might say that is embarrassing, stupid or subject to misinterpretation... As they search our emails for signs of a vast conspiracy, they will be disappointed." The source of the emails was not disclosed, but the publication follows the hacking of the company's computer servers last December by individuals claiming to be linked to the Anonymous cyber-activist group. After Stratfor's computers were hacked into at least twice last December, the credit card details of more than 30,000 subscribers to Stratfor publications were posted on the Internet, including those of former US secretary of state Kissinger and vice president Dan Quayle. "Of course we have relationships with people in the U.S. and other governments and obviously we know people in corporations, and that will be discovered in the emails. But that's our job. "We are what we said we were: an organization that generates its revenues through geopolitical analysis. At the core of our business, we objectively acquire, organize, analyze and distribute information." WikiLeaks released secret video footage and thousands of U.S. diplomatic cables about the wars in Iraq and Afghanistan in 2010, infuriating the U.S. government. I'm George Friedman, founder and CEO of Stratfor. As most of you know, in December thieves hacked into Stratfor data systems and stole a large number of company emails, as well as private information of Stratfor subscribers and friends. Today Wikileaks is publishing the emails that were stolen in December. This is a deplorable, unfortunate -- and illegal -- breach of privacy. Some of the emails may be forged or altered to include inaccuracies. Some may be authentic. We will not validate either, nor will we explain the thinking that went into them. Having had our property stolen, we will not be victimized twice by submitting to questions about them. The disclosure of these emails does not mean that there has been another hack of Stratfor's computer and data systems. Those systems, which we have rebuilt with enhanced security measures, remain secure and protected. The release of these emails is, however, a direct attack on Stratfor. This is another attempt to silence and intimidate the company, and one we reject. As you can see, emails sent to many people about my resignation were clearly forged. We do not know what else has been manufactured. Stratfor will not be silenced, and we will continue to publish the geopolitical analysis our friends and subscribers have come to rely on. The recent arrest of an El Paso County commissioner for his involvement in what federal authorities say was a drug-distribution operation left two Texas congressmen appalled. Federal authorities on Thursday arrested county commissioner Guillermo “Willie” Gandara Jr., 37, on drug trafficking and money laundering charges. Gandara and a co-defendant distributed more than 110 pounds of marijuana since Nov. 2010, according to a five-count indictment. Gandara was mayor of Socorro, a small town sitting along the border, from 2004 to 2006. The area has being plagued for years by gangs associated with the Sinaloa and Juarez drug cartels. 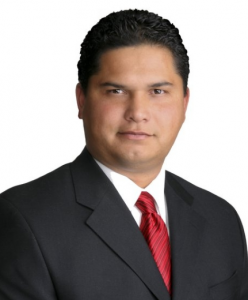 Gandara is now running for the Texas House 75th District seat. Rep. Silvestre Reyes, D-El Paso, whose district encompasses El Paso and Socorro, expressed his disappointment with the commissioner’s alleged actions on Friday. Gandara is being held at the El Paso County jail without bond. He faces up to 20 years in prison and a $1 million fine per count if convicted. The commissioner’s arrest and some recent shootouts along the border should serve as reminders to legislators that the United States is in a constant threat of violence and criminal activity by drug cartels, Canseco said in a statement released Friday. Canseco’s district encompasses almost 800 miles of the U.S.-Mexico border. Canseco added that the only way to eradicate this cross-border violence is by assisting the Mexican government’s crack on cartels. He urged his colleagues in Washington to “remain steadfast in the United States’ commitment to help Mexico deal with this serious threat” to both nations. The U.S. government pledged $1.5 billion in equipment and training to the Mexican government in 2008. But only slightly more than $700 million had been given to our southern neighbor by early December. Canseco said this effort, known as the Merida Initiative, must be stepped up. But by focusing on the role overcrowding played in the Zetas riot and escape, is the Mexican government missing the bigger picture in terms of prison reform? Smoke is seen coming from inside the prison of Apodaca as police guard the area on the outskirts of Monterrey, Mexico, February 21. Family members started a fire outside the fence and gunshots were heard from inside the prison, according to local media, three days after members of the Zetas drug cartel plotted with prison guards to orchestrate an elaborate escape and kill 44 of their rivals. 1) The expansion does little to fundamentally rethink the prison problem. The prison population in Mexico is increasing dramatically and it doesn't seem likely to slow down any time soon. Building eight or even 20 new prisons may ease the burden for now, but those institutions will eventually be overcrowded too. 2) Building more prisons does nothing to deal with problems related to pretrial detention. If 70 percent of people in some Mexican state prisons are awaiting court dates, it seems that Mexico may need to focus on additional courts and judges more so than new prisons. 3) How will they safely and effectively staff the new prisons? The recent massacre showed that Zetas bribed several dozen prison guards at a single prison, and given this how does Mexico expect to staff more prisons and avoid that sort of corruption in the future? It doesn't do any good to build eight new prisons if the prison system as a whole is broken and serves as an organizational base for the criminal groups. – James Bosworth is a freelance writer and consultant based in Managua, Nicaragua, who runs Bloggings by Boz. Mexican marines arrested a reputed boss of the Jalisco Nueva Generacion cartel, an organization allied with the country’s most powerful drug lord, Joaquin “El Chapo” (Shorty) Guzman, officials said. Adolfo Solis Bejarano, also known as Ernando Mendoza, the alleged leader of the drug mob’s operations in Veracruz, was arrested when the marines raided a home in that port city in response to an anonymous tip, the Navy Secretariat said in a statement Thursday. It added that Tuesday’s arrest was carried out as part of “Operation Safe Veracruz,” an initiative aimed at cleaning up police departments, gathering intelligence and fighting drug-related violence in that Gulf coast state. Several armed men found inside the home managed to escape after spotting the marines, although one of them was later captured after trying to hide out in another residence. The 42-year-old Solis, known by several aliases including “El Fito” and “El Apa,” confessed that he was the Jalisco Nueva Generacion cartel’s boss in Veracruz. 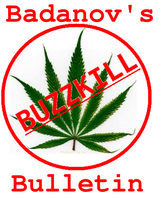 Marines confiscated an AK-47 assault rifle, numerous ammunition clips for that weapon and a packet containing 10 kilos of marijuana from the suspect. The detainee was turned over to authorities responsible for investigating drug-trafficking cases. Veracruz has been plagued by a turf war between rival drug cartels that has sent the state’s murder rate skyrocketing. Residents of Veracruz city were stunned on Sept. 20, 2011, by the discovery of 35 bodies dumped on a busy thoroughfare. A week later, 32 bodies were found at three drug-gang “safe houses” in the Veracruz-Boca del Rio metro area. The Gulf, Los Zetas and relatively new Jalisco Nueva Generacion cartels, as well as breakaway members of the once-powerful La Familia Michoacana organization, are fueling the violence in Veracruz, which is Mexico’s third-most populous state and coveted as a key drug-trafficking corridor to the United States, officials say. The Jalisco gang is allied with Guzman’s Sinaloa cartel, whose stronghold is western and northwestern Mexico. 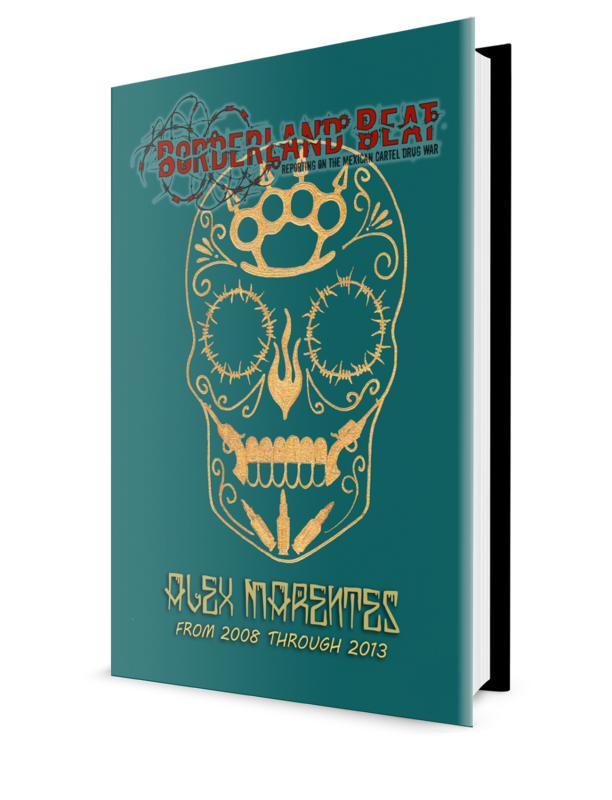 Mexico’s drug war death toll stood at 47,515 from December 2006 to Sept. 30, 2011. The death total has grown every year of President Felipe Calderon’s military offensive against the well-funded, heavily armed drug cartels. 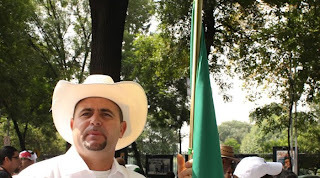 After losing to violence three members of Javier Sicilia's Movement for Peace with Justice and Dignity since last October, a fourth member has voluntarily severed his relationship, according to Mexican news accounts. Julian LeBaron who is a resident of Galeana municipality in Chihuahua state and a fundamentalist Mormon leader announced in an open letter that Javier Sicilia's peace movement had formed a relationship with governments, a nexus which he compared in the letter to repairing a car with a saw. According to the open letter publish in whole in Proceso leftist news weekly's website Saturday, Julian LeBaron's beef with Sicilia's group has been the dialogue Sicilia has established with "highest authorities of the Mexican state", and how some members of the movement have come to embrace electoral politics as a means of bringing peace to Mexican society. Senor LeBaron probably refers to two meetings Sicilia had with Mexican president Felipe Calderon Hinojosa as well as a meeting with top federal cabinet officials, legislators and senators from Mexico City last fall. In a Sunday morning explication of LeBaron's decision, another Proceso report had him comparing Calderon's method of dealing with gang and drug violence with having heart surgery with chain saws. Le Baron also has a problem with what he has seen as the weak accommodations the federal government has taken with the peace movement's concerns. Chief amongst those are legislation recently signed by President Calderon that made high school for all Mexican youth compulsory, an increase in secondary education spending and the creation of an Office for Victims of Violence. A co-founder in Sicilia's peace movement, Universidad Nacional Autónoma de México (UNAM) professor Emilio Alvarez Icaza Longoria has taken exception to Le Baron's assessment of the strategy in Sicilia's movement. He said initiatives such as the violence against victim's office will need many "adjustments", his term. He also said the dialogue with government officials has "changed the narrative "with regard to violence. The peace movement by Sicilia has had a number of problems since the fall of 2011. Leiva Pedro Dominguez, who was shot to death in Aquila municipality in Michoacan state by unidentified armed suspects in August, 2011. Nepomuceno Moreno Nunez, who was shot to death last November by armed suspects in Hermosillo, Sonora. J. Trinidad de la Cruz Crisoforo, who was shot to death in Santa Maria Ostula in Aquila municipality in Michoacan state last December. All of these violent deaths were unrelated to Felipe Calderon's war on the cartels, two of them related to local ongoing disputes over land. One was said to be related to Moreno's Nunez's alleged former involvement with a local violent gang. A woman who confessed to ordering the killings of five people last month was among several Sinaloa drug cartel members arrested in the northwestern Mexican state of Baja California, state officials said. Martha Lizeth Osegueda Rodriguez told investigators following her arrest on Friday night that she ordered the killings of five people on Jan. 28 in the border city of Tijuana. The 24-year-old suspect ordered the killings to steal drugs from a rival gang that operates in the neighborhoods close to the U.S. border, the Baja California Public Safety Secretariat said. Osegueda was arrested thanks to an anonymous tip and intelligence work by the state police, the secretariat said. State police arrested a taxi driver, identified as Erick Arzate Garcia, who had an outstanding warrant for robbery, the secretariat said. The 28-year-old Arzate told police he worked for Osegueda, who was in charge of drug sales in Tijuana’s Villas de Baja California and Tres de Octubre districts, the secretariat said. State police went to a house in Villas de Baja California, where they arrested Osegueda and Marco Antonio Lopez Carmona, a 24-year-old suspected Sinaloa Cartel gunman, the secretariat said. Officers seized a firearm and 17 packets of the illegal drug “crystal” from the suspects, as well as cash that apparently came from drug sales, the secretariat said. Osegueda told investigators she ordered the multiple murders in the Tres de Octubre neighborhood and that Lopez Carmona took part in the killings, the secretariat said. Osegueda sent the gunmen to kill rival gang members who stole drugs from her after getting authorization from her bosses in the Sinaloa cartel, the secretariat said. Octavio Leal Uriarte, known as “El Chapito,” was one of the cartel bosses who gave Osegueda the green light to carry out the killings, the secretariat said. The Sinaloa organization, sometimes referred to by officials as the Pacific cartel, is the oldest and most powerful drug cartel in Mexico. Cartel boss Joaquin “El Chapo” (Shorty) Guzman, considered extremely violent, is one of the most-wanted criminals in Mexico and the United States, where the Drug Enforcement Administration is offering a reward of $5 million for him. Guzman, who was born in 1957 in La Tuna, Sinaloa, was arrested in Guatemala in 1993 and pulled off a Hollywood-style jailbreak when he escaped from the Puente Grande maximum-security prison in the western state of Jalisco on Jan. 19, 2001. Forbes magazine estimates that Guzman has a fortune of more than $1 billion, making him one of the richest people in the world. A statement linked Osegueda to a criminal group that works for the Sinaloa cartel. The crime, carried out by hooded gunmen with AK-47 rifles, came after an extended period of relative calm in Tijuana. The five victims — all male — included Ulysses Castrejón, a 13-year-old student at San Ysidro Middle School, and his grandfather, Hipólito Beltrán. The teenager’s parents said he and they had never been to that neighborhood in Tijuana and their only connection to the incident was that they were invited to a birthday party for Ulysses’ 7-year-old cousin. Investigators initially linked the crime to the presence at the party of another victim, Daniel Alberto Cabrera Bengochea, father of the boy whose birthday was being celebrated. Cabrera was the brother of a former Tijuana police officer detained in December on suspicion of ties to the Sinaloa cartel. According to the State Preventive Police, an investigation led state agents to one of the three suspects, Erick Arzáte García, 28, as he was driving a taxi in a neighborhood southeast of downtown Tijuana known as Fraccionamiento García. That arrest led them to Osegueda and to Marco Antonio López Carmona, 24, who allegedly confessed to directly participating in the killings. According to the state police, the suspects said that they reported to two criminal cell leaders identified as Octavio Leal Uriarte, known as El Chapito, and another identified only by his nickname, El Lucas. The latter two authorized the killings, and assigned gunmen for the operation, according to the State Preventive Police. A Mexican rifle battalion commander is on trial for ordering the 2010 murder of two soldiers in Chihuahua state, according to Mexican news accounts. Colonel de Infanteria Elfego Jose Lujan Ruiz is accused of ordering soldiers to torture, then kill Mario Alberto Leon Guerrero AKA El Janos, and Mario Alberto Rodriguez Peralta, AKA El Capulina after the two had deserted their posts. Both men were alleged to be part of La Linea, the enforcement wing of the Juarez cartel. The charges come from statements from 15 soldiers in Colonel Lujan Ruiz's 35th Infantry Battalion that the colonel had ordered an interrogation detail to extract information from the two detainees about their involvement with La Linea. 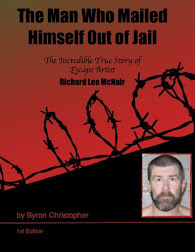 Allegations are that electric shock treatment was used to obtain the information. Following the end of the interrogation when an unidentified lieutenant in charge of the interrogation detail presumably phoned the colonel asking for further instructions. The victims were then led to a location on the road near the army base, were strangled to death with plastic bags and then incinerated using gasoline. The bodies were discovered a day later by local police agents. According to press reports, elements of La Linea inside the rifle unit had gained contact with the families of several elements in the rifle unit, making threats and sufficiently striking fear to influence counternarcotics operations. The actions taken by the colonel appear to be that of a senior commander invoking rule number one in war: protection of command. If in fact La Linea were relying on information provided by the two deserters, it is clear that that means of information probably stopped with the two murders. According to press reports, Colonel Lujan Ruiz was recommended for his promotion to colonel in 2007, which was approved by the Mexican Chamber of Deputies in 2008. He was assigned to the 35 Infantry Battalion based in Nueva Casas Grandes in far western Chihuahua sometime in 2009 under the command of General Jose de Jesus Espitia, commander of the Mexican 5th Military Zone. Colonel Lujan Ruiz was arrested in February, 2010 and then formally imprisoned in March, 2010 on the charges. Colonel Lujan Ruiz could be facing charges in another more well known disappearance case that took place only a few days before the murders. In August, 2011, three bodies were found inside an abandoned mine near the town of Buenaventura in Galeana municipality in far western Chihuahua state. It is unclear in concurrent news reports if the three cadavers found were the three individuals reported taken from their respective residences by men dressed as soldiers 19 months before, or if tests begun by Chihuahua state authorities shortly after they were discovered were conclusive. According to news and human rights accounts, at around 2000 hrs December 29th, 2010 three individuals were taken from residences in Buenaventura in Galeana municipality, Jose Alvarado Herrera, 30 and Nitza Paola Alvarado Espinoza, 31 and Rocio Irene Alvarado Reyes, 18 in two separate incidents. Relatives had said the three were taken to the Nueva Casas Grandes army base, while officials both at the local garrison as well as at higher commands denied having them. 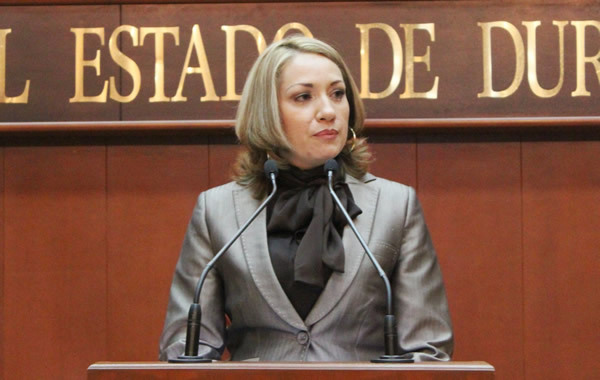 A human rights report stated that on February 4th, a friend of one of the victims, received a brief telephone call from Nitza Paola Alvarado Espinoza. A local prosecutor in Galeana attempted to trace the call but failed. The army has consistently denied knowing where whereabouts or fate of the three victims, a contention which appears to be true. According to an article in the leftist weekly Proceso, soldiers dropped the three off at a facility run by the Chihuahua state Agencia Estatal de Investigacion (AEI) . The detail that detained the three was led by Colonel Lujan Ruiz. The colonel's involvement in the detention was confirmed by three other Chihuahua state officials, however the report fails to state whether the colonel was physically present when the arrests were made, and when the three were dropped off to the AEI. It is clear by virtue of the colonel being in command of the rifle unit, it was his operation. But it is also unclear if the three officials who claimed the colonel led the expedition to arrest the three either saw, or knew that a witness had seen him in that detail at that time.